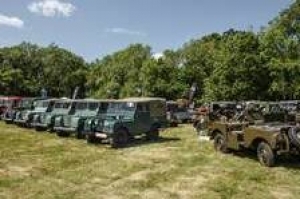 The Dunsfold Collection of Land Rovers is a registered charity dedicated to the preservation of Land Rover history. 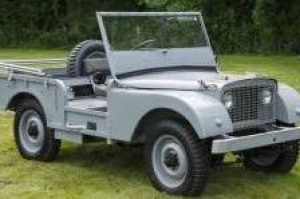 The Collection was started in 1968 by Brian Bashall who realised that his love of strange prototype and pre-production Land Rovers was of interest to others. 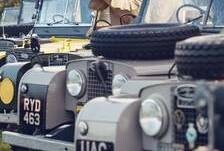 At that time Land Rover itself was not interested in retaining these wonderful prototypes which are part of Britain’s transport heritage and without Brian’s foresight and enthusiasm many of these vehicles would have been lost forever. Brian's interest in Land Rovers was founded back in 1953, when his girlfriend's father told Brian that he couldn't take his daughter out on his Vincent motorbike. 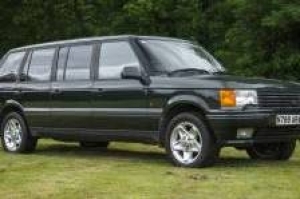 The purchase choices facing Brian were a Jowett Bradford van, a Ford Prefect or a second hand Land Rover. To his eternal credit, Brian chose the Land Rover and soon developed a passion and enthusiasm for these iconic vehicles that led to him acquiring the first vehicles that were to form the nucleus of the Collection and, in due course, establishing a specialist parts and servicing business. The Transport Trust, which is the UK’s only national charity established to promote and encourage the preservation and restoration of Britain's unique transport heritage in all its forms, recognised the importance of Brian’s work in 2003 when it awarded him a Lifetime Achievement Award. 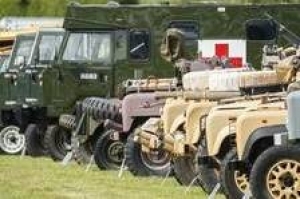 Over the years, the Collection has expanded to include not only prototype and pre-production vehicles but examples of almost every model made by Land Rover from 1947 to the present day, including military vehicles, record-breakers, royal cars, limited editions and display vehicles. 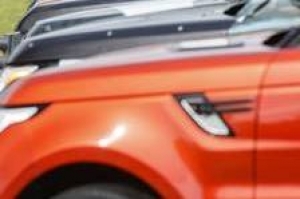 The Collection is managed by Brian’s son, Philip, who is also an internationally-recognised expert on the Land Rover marque, and now has over 130 Land Rover and Range Rover cars. These are at present housed in a number of barns and can only be seen at our biennial Open Weekend when visitors come from all over the world to view this unique Collection. What a glorious weekend in the sunny Surrey countryside! Our Show this year was undoubtedly our biggest and best yet, and thank you for attending. 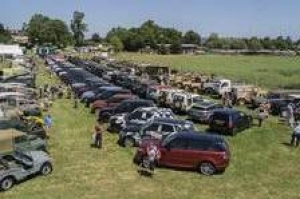 If you were unable to join us, please watch for details of our next Show, or visit us on our stand at one of other of the motoring events we attend each year. This year, we had over 130 Collection vehicles on display and almost twice that number were presented on the twenty Club stands. The weather was superb for the whole weekend, and the Land Rovers in the dedicated car park were a mini-show all by themselves. A brand-new, pre-production example of the Range Rover Velar was on display throughout the weekend, and certainly attracted a great deal of attention. Mark Evans chose the winner of the 'Best in Show' award, which he presented to the Land Rover Optional Equipment Collection, for their superbly-restored Series IIa 109 inch with a factory-approved Harrier backhoe by AirDrive. The newly-launched 'Brian Bashall Memorial Award', which will be presented annually to individuals, groups, companies, clubs or other entities that have made significant contributions to the preservation of Land Rover history and heritage, was presented to the Houben family from Holland. For the very few of you that haven’t heard their name before, the Houbens are respected throughout the world for their knowledge of the marque, their wonderful collection of Land Rover vehicles and their excellent restorations. The VIP marquee for Friends of the Collection proved very popular, and our ever-helpful volunteers served tea, coffee, sandwiches and cakes throughout the weekend. 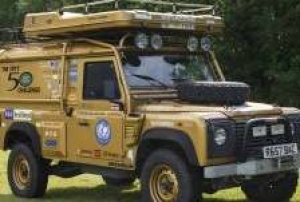 We were especially honoured when the Defender 50th Owners’ Club & Vehicle Register presented us with a donation of £1,000 and we are delighted to add them to the Wall of Fame as a Gold Supporter.